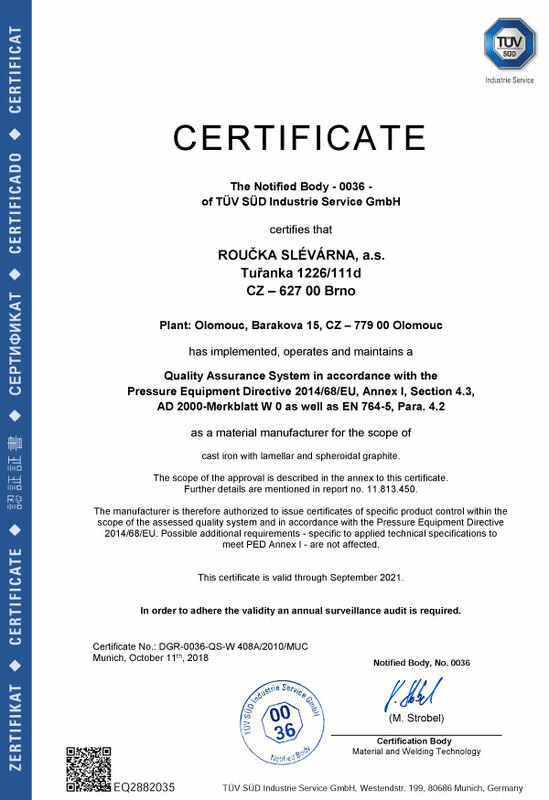 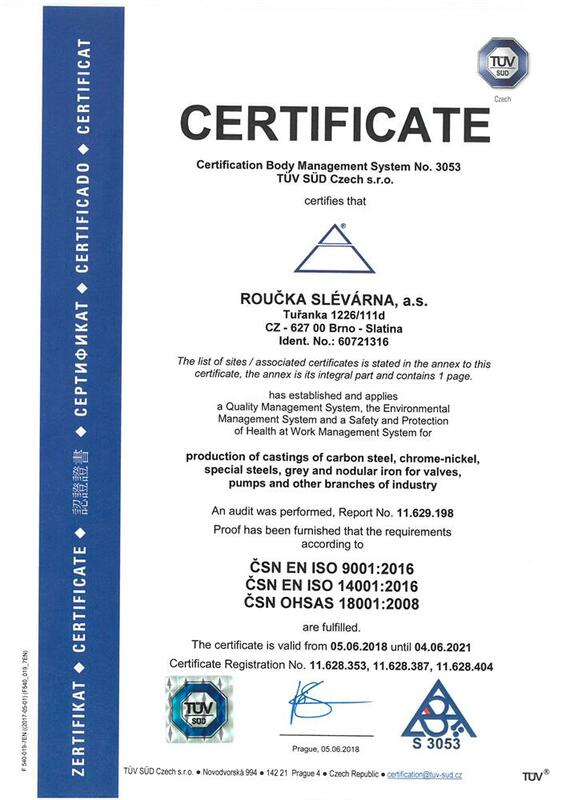 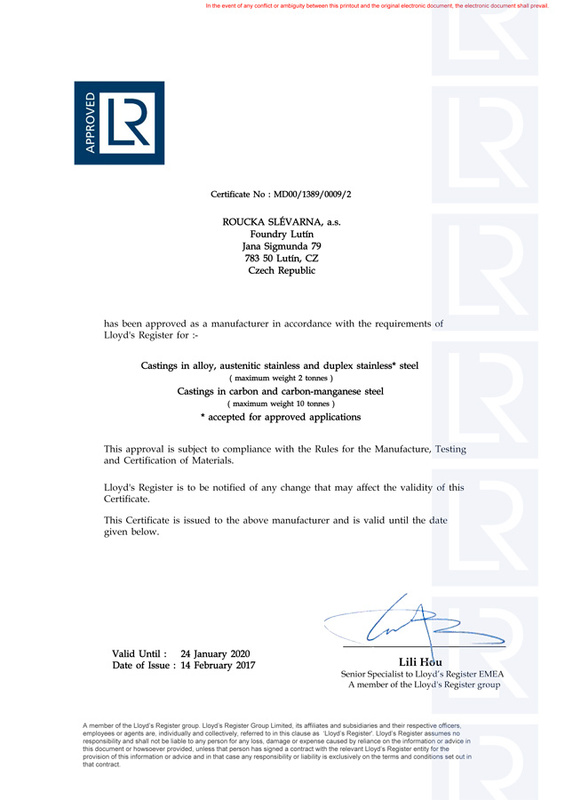 Certificates - Roučka slévárna, a.s.
ROUČKA SLÉVÁRNA, a.s. is a traditional supplier of castings for valves, pumps and other industrial products, ROUČKA SLÉVÁRNA, a.s. is holder of certificates of TÜV SÜD Industrie Service AD 2000-Mbl. 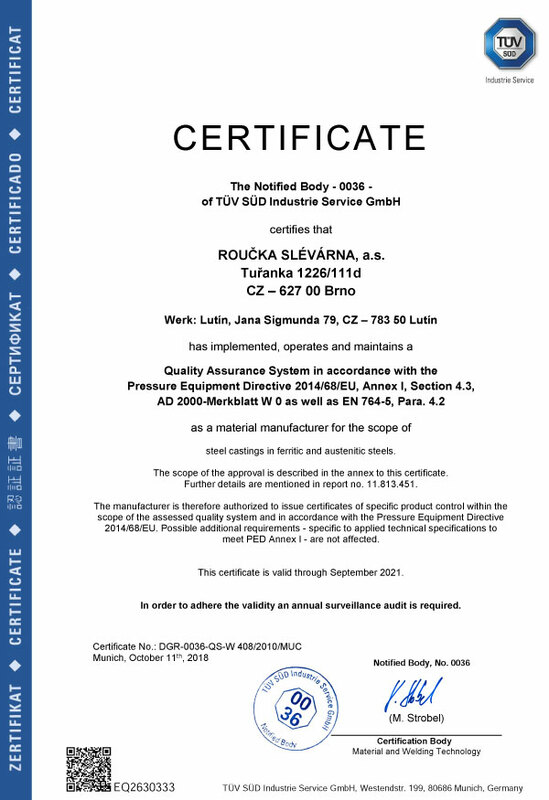 W0, W5 a EN 764-5, Para.4.2, fulfil quality requirements of European directive PED 2014/68/EU. 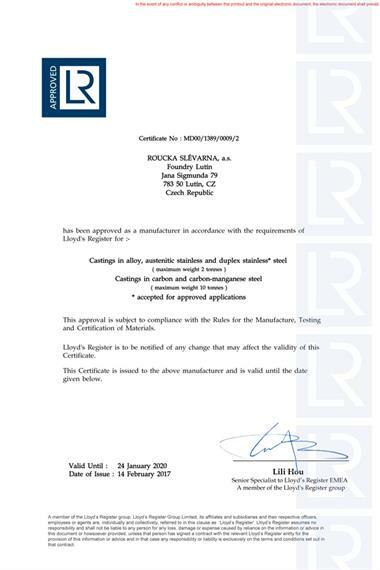 Upon the clients‘ request, we are able to ensure the acceptance of goods by Czech branches of the companies TÜV NORD, Lloyd’s Register, Det Norske Veritas-GL and BUREAU VERITAS. 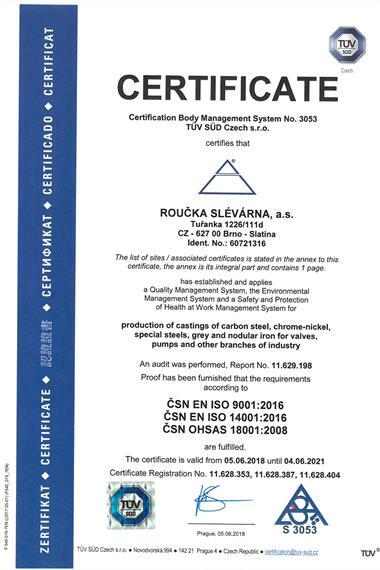 © 2016 - 2019 ROUČKA SLÉVÁRNA, a.s.|Created by webProgress s.r.o.